It has finally been released. 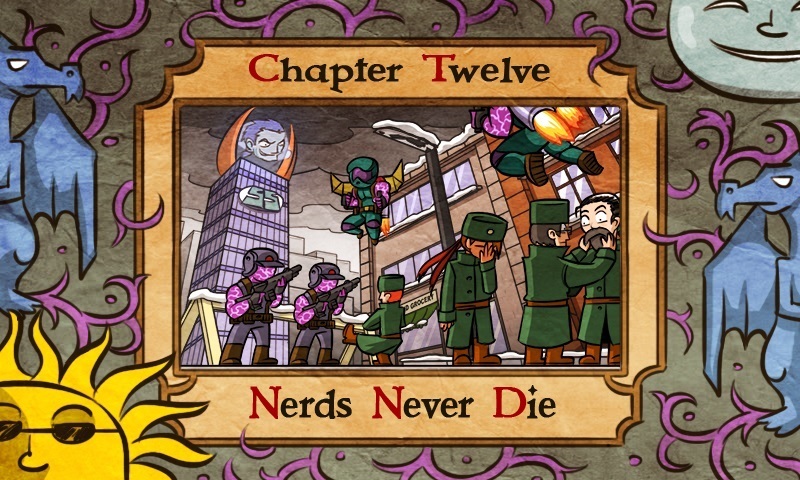 The Chapter 12, “Nerds Never Die“, is the epic conclusion to the preposterous adventures of Nigel, Mike, Johnny and Francis. Join the nerdiest team of heroes and ally with with Esmeralda, Rose, Viola and Marcus Fatum. 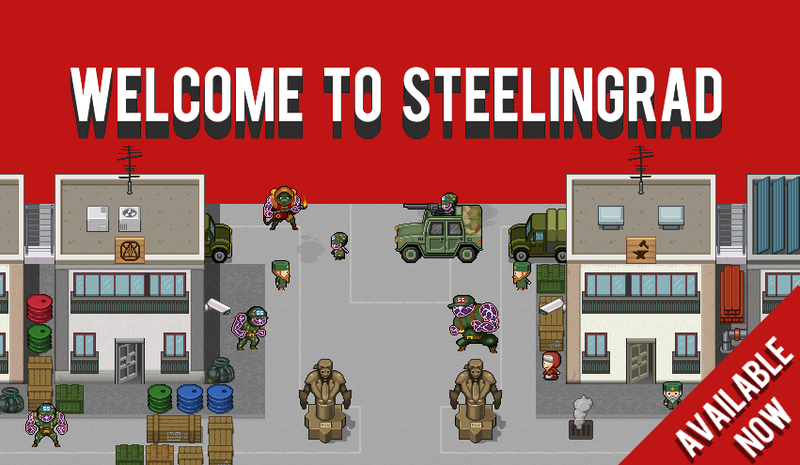 Attack Solomon Steel’s city, Steelingrad and reach for his private quarters to finally settle the war. Will our heroes be victorious? Do really #NerdsNeverDie? * Level Cap increased to 70! * A total of 107 secrets! * THE FREAKING END OF THE STORY!! !